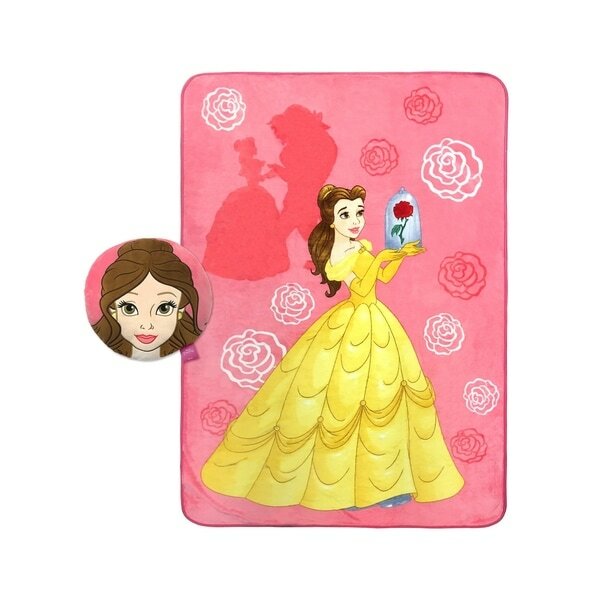 This Beauty And The Beast Belle Nogginz and Plush Blanket Set features your child's favorite Disney princess, Belle! The plush, super cozy 62" x 90" blanket features your child's favorite Disney princess! This set can be used for lounging around the house, traveling in the car, or while watching movies. A great set to be used anywhere and everywhere! A must-have for any Beauty and the Beast fan. This set would make the perfect year-round gift for any child. Nogginz measures approximately 12" x 12" and blanket 62" x 90". 100% Polyester.